Caterpillar Hostplants Pentas (Pentas lanceolatas) are the most common host on which people find the larvae. 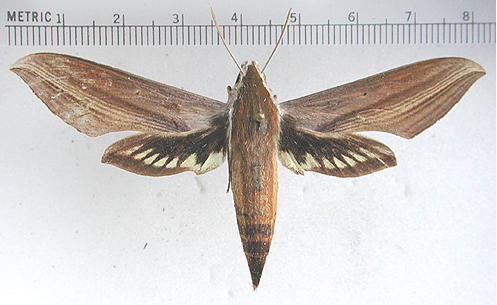 Tuttle reports in "The Hawk Moths of North America" that they also use several herbaceous plants, such as Buttonweed (Diodia teres), Smooth Buttonweed (Spermacoce glabra), Rough Mexican Clover (Richardia scabra). General Notes The caterpillar is commonly found on Pentas (Starcluster).